Eugene Vodolazkin - the captain told of water that bathed the atmosphere and cooled the luminaries. He had no doubt those waters were salted. In his view, he was talking about the most ordinary of seas, which, for certain reasons, was located over the heavenly firmament. Otherwise why is it, the captain asked, that people in England recently left church and discovered an anchor that had been lowered from the heavens on a rope? Eugene Vodolazkin, The Aviator, Trans. by Lisa Hayden, Oneworld Publications, 2018. From award-winning author Eugene Vodolazkin comes this poignant story of memory, love and loss spanning twentieth-century Russia A man wakes up in a hospital bed, with no idea who he is or how he came to be there. The only information the doctor shares with his patient is his name: Innokenty Petrovich Platonov. As memories slowly resurface, Innokenty begins to build a vivid picture of his former life as a young man in Russia in the early twentieth century, living through the turbulence of the Russian Revolution and its aftermath. But soon, only one question remains: how can he remember the start of the twentieth century, when the pills by his bedside were made in 1999? Reminiscent of the great works of twentieth-century Russian literature, with nods to Dostoevsky’s Crime and Punishment and Bulgakov’s The White Guard, The Aviator cements Vodolazkin’s position as the rising star of Russia’s literary scene. Eugene Vodolazkin’s Авиатор (The Aviator) is the first of this year’s Big Book finalists that I read: though I’d sworn I’d wait to read The Aviator when I could get it in print, I happily accepted the final text of the book from Vodolazkin and read a short passage on my reader each evening. It made for particularly nice spring reading. Though I always prefer print reading over electronic, I have to admit that limiting myself to short sections (to avoid the eye and attention strain I seem to get when reading electronically) was a good way to both extend my enjoyment of the novel and to consider, over time, the ways Vodolazkin develops his story and main character, Innokentii Platonov. I’m sure I would have loved a good binge-read, too, but it wouldn’t have done justice to this meditative (I think that’s the word I’m looking for) novel. I’m afraid this post won’t do the novel much justice, either. That’s not just because I loved The Aviator so much in ways that I can’t explain, other than by saying that some books just seem to go right to the head and/or the heart, a phenomenon I think most of you understand. Nor do I want to gush. Beyond all that, I’m going very light on details in this post because one of the reasons I enjoyed The Aviator so much is that Vodolazkin didn’t tell me much at all about the novel: I began reading with only one bit of background (which spoiled nothing whatsoever but that I won’t mention because I don’t have context) and I had no expectations whatsoever about plot, character, or anything else. If I’d known more, I wouldn’t have gasped, audibly, when I found out what caused Platonov’s rather unique condition. The Aviator is written in journal form, beginning with an undated entry by a man who’s quickly identified as Innokentii Petrovich Platonov. He appears to be a hospital patient with amnesia. His doctor, a man named Geiger (whose nose hairs Platonov sees on the third page), suggests the journal as a method for resurrecting his memory. As the days pass, Platonov begins remembering bits of his past and his personal story: he’s fairly quick to remember he’s the same age as his century, which can quickly be identified as the twentieth. And his location quickly sets the book in St. Petersburg, something that feels wholly organic. That’s not just because of mentions of landmarks or of street names that evoke the past, but because there’s a whiff of that old Gogolian feeling (since Gogol’s not mentioned in the novel, perhaps this is ingrained in my thinking? or even somehow idiopathic?) that unusual things can and most likely will happen there. The novel also incorporates Petersburg poet Alexander Blok’s “The Aviator” (here in Russian and here in English). Vodolazkin works in elements from many genres, including love story and murder mystery, touches of science fiction and history, as well as coming of age, plus the bonus of references to Robinson Crusoe, which I realized I’ve somehow never read (!). There’s a little bit of everything, but all that everything flows together (everything matters here) very, very smoothly, gathering speed as time, history, events, and people, too, in their way, spiral. Of course there’s humor (I can’t imagine Vodolazkin writing without humor) and an almost improbably suspenseful ending. Most of all, though, from the perspective of a translator spiraling through a first draft of The Aviator—each draft and (re)reading of a book and its translation has the feel of spiraling history for me, too—I’m enjoying the book as a portrait of how a person grows and develops, more than once. Innokenty Petrovich Platonov wakes up in a hospital bed, unsure not only of where he is and why he is there but of who he is. There appears to be one doctor (and only one doctor), Dr. Geiger, and one nurse and only one nurse, Valentina. There do not appear to be any other patients. This is in itself mystifying for Innokenty. He has a fever, which the doctor is worried about, but the doctor refuses to tell him who he is and why he is there. Instead, he asks Innokenty to write down what he remembers. Gradually, he starts remembering things. He first remembers the Lord’s Prayer. He seems to think that he may have been an aviator. He remembers the Kuokkala district of St. Petersburg, which, since 1948, has been called Repino. Other things come back, such as ration cards and queueing for rations – just after the Revolution. Then he remembers queueing in 1919 and talking to a friend who reminds him that they were both born in 1900. Geiger finally confirms that he was born in 1900 and that he has been unconscious for a very long time. Geiger tells him about changes, such as space exploration. Then he notices the pills on his table. They have a date on them – 1999. This means that he is ninety-nine years old, yet seems to be only thirty. Innokenty Petrovich Platonov wakes up in a hospital bed with no recollection of who he is or how he got there. He is tended by a single doctor, Doctor Geiger, who gives him a pencil and notebook and encourages him to write down his observations and memories. The notebook is thick, like a novel. How can Innokenty fill it if he cannot remember anything? But slowly the memories start to return, memories of childhood holidays at the beach, of life in the dacha, of the airfield and the aviators...and the island...it seems like some memories may be better left buried. He remembers that he is the same age as the century, born in 1900. But if that is the case, how is he still a young man when the pills by his bedside are dated 1999? So begins The Aviator, which immediately draws the reader in with the mystery of who Innokenty is and how he managed to seemingly travel in time. His diary fluctuates between his current observations and old memories of pre-revolutionary Russia, concentrating more heavily on the latter. As the story progresses and we unravel the mystery of how Innokenty came to be in the modern world, the story focuses on his difficulties fitting in and becoming accustomed to what is essentially an alien environment for him. The book raises some thought-provoking topics. Is there anyone still alive from his time period? Friends? Family? Or is Innokenty completely alone? How will he adjust to the technology of our modern world? To computers, or even something as simple as the humble ball-point pen? It is interesting how these themes are addressed, as it is revealed that the things Innokenty misses most are the small things; sights, smells and sounds that he will never hear again. The sense of loss is palpable; the slow realisation of his situation and subsequent wave of grief hit him like a sledgehammer. The book is firmly in the Literary Fiction category, so don't expect an easy or straightforward read. A lot of the narrative is verbose and almost poetic in nature. As the story continues, Innokenty becomes fixated on the minutiae of life, which means that the path between the beginning and end of the story can be a long and winding one, with plenty of diversions along the way. As a reader, I did feel that my perseverance was rewarded, although some chapters did seem excessively wordy. It didn't help that the author uses the protagonist's three given names interchangeably throughout the text, which can easily cause confusion. Eugene Vodolazkin’s engaging new novel opens with a mystery. The main character—Innokenty Petrovich Platonov—wakes up in a hospital ward in 1999 with no memory of who he is or how he came to be there. “Was he in an accident?” he asks. “One might say that,” the doctor answers carefully in response. Told that he must remember everything except his name and encouraged to use a journal to record the knowledge of his personal past that he recovers, Platonov begins a journey of self-discovery. Memories of the summer cottage life that defined his childhood, the death of his father, deprivation, arrests, and a terrible place of confinement in the far north return to him jumbled and out of sequence. Although he looks no more than thirty, he is, he gradually understands, as old as the century, a real Robinson Crusoe, cast ashore in a strange modern world that he does not understand and, as a result, feels fundamentally isolated from. And yet how exactly did he arrive in the post-Soviet era, transported apparently straight from the 1920s? Those familiar with twentieth-century Russian history will delight in the swirl of memories that emerge over the course of the narrative. We clearly see places and moments in time that matter profoundly in Russian cultural memory, including Revolutionary and post-Revolutionary Petrograd and the Soviet Union’s most notorious early labor camp, Solovki. Platonov’s unique, temporally fractured biography gives him a broad perspective on Russian life: just as an aviator might survey an expanse from above, his memory arcs from the early Soviet period to the end of the twentieth century. At its heart, The Aviator is a work of memory and forgetting that is about the hard work of knitting together and understanding a century in Russian history that seems in so many ways broken in its awfulness. What, the novel seems to ask us, is the connection between individual and collective memory? What matters more in our understanding of the past: major historical events or the small details of daily life such as sounds and smells that are so evocative of our personal experiences? Eugene Vodolazkin’s The Aviator is an unabashed, panoramic view of the landscape of human consciousness affected by time, place, faith, and faces. Innokenty Petrovich Platonov does not know who he is. Confined to a bed in a mysterious location and attended only by a Russian German doctor named Geiger and by Nurse Valentina, Innokenty is told to write. Geiger insists that he recall all the important memories on his own. Slowly, the details of his life in the first half of the twentieth century return—his romance with Anastasia Voronina, the Great War, the Bolshevik Revolution, his sentencing to a labor camp. But when he notices the expiration date on a bottle of pills, he realizes that he is now alive in the year 1999, though he has the appearance of someone much younger. Through Innokenty’s journal entries, the mystery of his fate is revealed. Later, Geiger and Anastasia’s granddaughter add their own journal entries to this intricate tapestry of history, science, and religion. The brutal reality of the Bolshevik Revolution is painted in the small frame of Innokenty’s life, but retains the same (and perhaps greater) force of wider, more grandiose narratives chronicling the upheaval. Lisa Hayden’s translation reads beautifully and carries the poignancy well. In the vein of Dostoyevsky, religion here is not an enemy to be vanquished, but rather a consolation and a means of deciphering the mechanisms of the human mind and the world—seen and unseen. With grace and an attractive gentleness, Innokenty asserts his religious beliefs, and demonstrates his faith’s timelessness and enduring relevance. As a man outside his own time, he critiques many of modern society’s norms—particularly the obsession with advertising and sensationalist news—indictments that ring even more true in the years beyond 1999. Eugene Vodolazkin, Solovyov and Larionov, Trans. by Lisa Hayden, Oneworld Publications, 2019. Solovyov, a young scholar born into obscurity, arrives in St Petersburg to have his thesis topic handed to him: the story of General Larionov. Dismissive at first, his subject soon intrigues the young scholar, even obsesses him: this is no ordinary General. Not only did Larionov fight for the monarchist Whites during the Civil War, he did so with bloody distinction. So how did he manage to live unharmed in the Soviet Union, on a Soviet pension, cutting an imposing figure on the Yalta beaches, leaving behind a son and a volume of memoirs? The budding young historian sets off to Crimea to look for some lost pages from the General’s diary, and on his journey discovers many surprises, not least the charming Zoya, who works at Yalta’s Chekhov Museum. 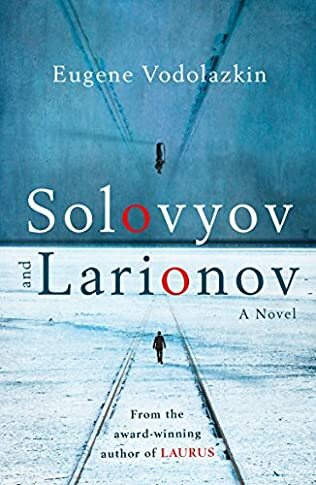 With wry humour, philosophical seriousness and a ground-breaking narrative style, Solovyov and Larionov is a genre-defying historical detective novel that explores a fascinating period of Russian history. Eugene Vodolazkin, Laurus, Trans. by Lisa C. Hayden, Oneworld Publications, 2015. It is a time of plague and pestilence, and a young healer, skilled in the art of herbs and remedies, finds himself overcome with grief and guilt when he fails to save the one he holds closest to his heart. Leaving behind his village, his possessions and his name, he sets out on a quest for redemption, penniless and alone. But this is no ordinary journey: wandering across plague-ridden Europe, offering his healing powers to all in need, he travels through ages and countries, encountering a rich tapestry of wayfarers along the way. Accosted by highwaymen, lynched in Yugoslavia and washed overboard at sea, he eventually reaches Jerusalem, only to find his greatest challenge is yet to come. Winner of two of the biggest literary prizes in Russia, Laurus is a remarkably rich novel about the eternal themes of love, loss, self-sacrifice and faith, from one of the country's most experimental and critically acclaimed novelists. Laurus, the second novel by Russian writer Eugene Vodolazkin (after Solovyov and Larionov, due to appear in English in 2016), is in one breath, a timeless epic, trekking the well-trodden fields of faith, love, and the infinite depth of loss and search for meaning. In another, it is pointed, touching, and at times humorous, unpredictably straying from the path and leading readers along a wild chase through time, language, and medieval Europe. Winner of both the National Big Book Prize (Russia) and the Yasnaya Polyana Award, Vodolazkin’s experimental style envelopes the reader, drawing them into a world far from their own, yet indescribably intimate. Spanning late fifteenth-century Russia to early twentieth-century Italy, the novel recounts the multiple lives (or stages of life) of a saint and the story of his becoming. Born Arseny in 1440, he is raised by his grandfather after his parents die from the plague that torments much of Russia and Europe. Recognising the boy’s gift for healing, his grandfather instills in him knowledge of healing and herbalism. Arseny aids the pestilence-stricken villagers, yet his powers of healing are overshadowed by his helplessness in preventing his grandfather’s death, as well as the passing of his beloved Ustina. Abandoning his village, past and namesake, Arseny begins a voyage that will transcend country and identity. Kaleidoscopic in his language and reach, Vodolazkin takes us on a journey of discovery and absolution, threaded together through the various, often mystical lives of Arseny as a healer, husband, holy fool, pilgrim and hermit. Vodolazkin’s skill with language leaves a resonating after-effect. Good writers are able to peer through the lens of a particular time and space and stare into the infinite; Vodolazkin simultaneously embraces and rejects this image, often toying with the reader’s sense of spacial and temporal awareness. An expert in medieval history and folklore, he beautifully constructs scenes of fifteenth-century Russia and Europe, placing the reader in a timeless trance, before jerking the rug out from under your feet with such a reference as to a monastery located on the future Komsomol Square of Pskov. The outcome of Vodolazkin’s constant construction and deconstruction of the typical framework gives a timeless quality to his characters and the themes that arise within Laurus. Indeed our protagonist Arensy embodies the mystical life of a saint that history glorifies: he lives on the fringe of life, feeling his actions occur both as a future experience and a past memory. Vodolazkin jumps between archaic, medieval speech and contemporary slang, and interjects images of ancient Jerusalem with dreamscapes of Italy half a century later, envisioned by Arseny’s Florentine travel partner who is fixated on determining the certainty of the world’s end in the year 1500. The pages, dotted with names of anachronistic herbs and forgotten family lineages – not to mention Vodolazkin’s complex interplay between modern and medieval Russian – do not make for a simple or smooth translation. Lisa Hayden should be commended for her effort, for she achieves just that. Subtly, she blends the familiar and unfamiliar, trusting the organic process through which the book unfolds and allowing the language to speak for itself. Laurus is set in the late fifteenth and early sixteenth century and is basically the birth-to-death story of its protagonist. A short introductory 'Prolegomenon' already summarizes it -- but, as the opening line noting: "He had four names at various times" suggests, there's more to it all. Arseny was born in 1440, and he came to live with his grandfather, Christofer, when the plague came to the quarter where he lived with his parents, the disease quickly killing them off. A healer, Christofer passed on his medical and other knowledge to Arseny, a bright child who quickly picked things up. When Christofer died Arseny continued treating patients, showing a sure touch and feel for what ailed people and whether they could be cured -- and, if so, helping however he could. A young woman, Utsina, appeared in his life -- fleeing from yet another plague-site. He took her in when no one else would, and they became a couple (though he tried not to reveal her presence in the house to outsiders, and although they didn't officially get married). She got pregnant -- but happy family life was not meant to be, leaving Arseny alone again. The loss of Utsina marks him for life: "I have an eternal love and eternal wife" he explains, even many years later, and Utsina remains a very real -- if not physical -- presence in his life. Arseny left his hometown and on his travels revealed his healing-prowess, as he repeatedly came to places being ravaged by the plague and plunged right in, doing good. As happens repeatedly in his life, his reputation quickly spreads and people flock to him. Along the way he also found understanding benefactors, whether local grandees or nuns at a convent, who put up with his sometimes odd ways. Arseny is taken for a 'holy fool' at times, but his diagnostic and healing touch is undeniable, as is his fundamental goodness -- a willingness to try to help wherever he can, even if that brings harm to him. He also has close calls under other circumstances, including on a journey to Jerusalem, which ends in yet another trauma that marks him for the remainder of his life. Arseny settles down for a while in a monastery, but eventually decides to find his place alone and elsewhere. Even in what should be complete isolation he can not escape those seeking his help, and he also takes in and cares for yet another young woman who can not remain at home. Much of Arseny's life is relatively uneventful. He has a remarkable gift for understanding what ails people, recognizing it instantly and advising them accordingly (even unbidden). He is a great healer but he isn't entirely a miracle-worker; some ailments are beyond him. His self-sacrifice is impressive but also -- like much in the novel -- a sort of monotone: while the action sometimes takes unexpected turns, Arseny's actions and reactions remain predictably true to him, varying only to the extent of how self-absorbedly-contemplative he is, as there are numerous times he withdraws almost entirely into himself. There's a pervasive sense of fatalism here: Arseny's diagnoses are quick, even abrupt, and if there's no hope then there is no hope. Death is omnipresent, especially with the plague repeatedly striking, but even aside from disease fatal accidents and violent deaths are near-everyday occurrences. Arseny isn't a man of many words, but words do mean a great deal to him. He picks up reading quickly, and one of the things he does with Ustina as well as the final girl who becomes part of his life is teach them to read and write. His grandfather's books are important to him, and he seeks out others that provide more knowledge. Later in life, he spends time as a transcriptionist in the monastery. Love, faith, and a quest for atonement are the driving themes of an epic, prizewinning Russian novel that, while set in the medieval era, takes a contemporary look at the meaning of time. Combining elements of fairy tale, parable, and myth, Vodolazkin’s second novel (after Solovyov and Larionov, to be published in English in 2016) is a picaresque story exploring 15th-century existence with gravity and a touch of ironic humor. Its language veers from archaic—"Bathe thyself, yf thou wylt"—to modern slang, and its preoccupations range across language and belief to herbalism and history. Binding all this together is a character whose name changes four times over his lifetime as he progresses through phases as healer, husband, holy fool, pilgrim, and hermit. Born in Russia in 1441, Arseny is an only child, raised by his wise grandfather Christofer after his parents die of plague. Discerning Arseny’s healing gifts, Christofer passes on to his grandson his knowledge of plants and remedies and his role as village healer. After Christofer’s death, Arseny’s loneliness is dispelled by the arrival of plague fugitive Ustina, but the eternal love that develops between them frightens Arseny and leads to failings which will haunt him for the rest of his life. Unobtrusively translated, the novel’s narration flows limpidly, touching humane depths, especially when depicting sickness, suffering, and death, which is often. Vodolazkin handles his long, unpredictable, sometimes-mystical saga and its diverse content with confident purpose, occasionally adding modern visions to the historical landscape, part of a conversation about discontinuous time. Traveling across Europe and Palestine and then back to Russia, Arseny, who will become Ustin, Amvrosy, and finally Laurus, will eventually complete his long, circular journey and reach a place of repose. Medieval Russia was a land trembling with religious fervor. Mystics, pilgrims, prophets, and holy fools wandered the countryside. Their wardrobe and grooming choices earned them names like Maksim the Naked and John the Hairy. Basil the Blessed walked through Moscow in rags, castigated the rich, exposed deceitful merchants, and issued prophecies, many of which proved correct, or close enough. St. Basil’s Cathedral in Red Square is named for him. Nil Sorsky was renowned for his asceticism and devotion, suggesting that, through self-discipline and prayer, you could directly commune with God, making irrelevant the extravagant rituals of Orthodoxy. Many ascetics were deemed “fools for Christ,” whether or not they behaved foolishly. Some were designated saints. A new novel by the Russian medievalist Eugene Vodolazkin, “Laurus,” recreates this fervent landscape and suggests why the era, its holy men, and the forests and fields of Muscovy retain such a grip on the Russian imagination. Vodolazkin’s hero-mystic Arseny is a protagonist extrapolated from the little that is known about the lives and deeds of the famous holy men. Born in 1440, he’s raised by his herbalist grandfather Christofer near the grounds of the Kirillov Monastery, about three hundred miles north of Moscow. He becomes a renowned medicine man, faith healer, and prophet who “pelted demons with stones and conversed with angels.” He makes a pilgrimage to Jerusalem. He takes on new names, depending on how he will next serve God. The people venerate his humble spirituality. In “Laurus,” Vodolazkin aims directly at the heart of the Russian religious experience and perhaps even at that maddeningly elusive concept that is cherished to the point of cliché: the Russian soul. The remedies invoke an idea of nature as essentially friendly, or at least potentially helpful. Folk medicine remains popular in Russia to this day. Whether or not it’s effective, it connects an overwhelmingly urbanized population to the scythed fields and profound, spirit-dwelling forests of its antiquity. And Vodolazkin takes his holy fools seriously, offering a view of medieval Christianity that goes well beyond the appropriation of home remedies for religious purposes. Although Arseny cherishes Christofer’s birch-bark pharmaceutical texts, he doesn’t believe the herbs are responsible when the ill recover. (Often, they don’t.) The keys are prayer and faith. He bows to icons on a shelf. Incense burns. A vitalizing current runs from his hands into the core of the patient’s suffering. In “Laurus,” the depiction of faith is presented entirely without irony—a strategy that has become unusual among literary writers, but which is central to Vodolazkin’s effort to excavate what was meaningful from Russia’s distant past. The faith of Vodolazkin’s holy fools is neither ecstatic, like many forms of Western Christianity, nor hierarchical, like Eastern Christianity, nor scholarly, like Judaism. Although the Greek-derived word doesn’t appear in “Laurus,” Arseny appears to embrace “Hesychasm,” the Byzantine religious movement in pursuit of inner peace. In his magisterial history of Russian culture, “The Icon and the Axe,” James H. Billington explains that the Hesychasts received “divine illumination” through “ascetic discipline of the flesh and silent prayers of the spirit.” This often required years of isolation and silence. Arseny accepts the challenge after a series of trials, most significantly the death of his beloved Ustina, a young woman who had found refuge in his log house after her family was lost to the plague. His botched attempt to deliver their child tests the limits of prayer and folk medicine: “The blood was flowing from the womb and he could not stanch it. He took some finely grated cinnabar in his fingers and went as deeply into Ustina’s female places as he could.” Arseny acknowledges his malpractice, but not the fact that she’s gone forever. Shattered by her death, he journeys to the town of Pskov, in what was then Lithuania. He spends decades without speaking, and is designated one of the region’s three holy fools. Most of his silent communion is not with God, but with Ustina’s spirit. The other element of being a Russian holy man was a taste for prophecy—”dominating all other manifestations of eccentric sanctity,” according to Sergei Ivanov, author of “Holy Fools in Byzantium and Beyond,” the most authoritative English-language account of the phenomenon. “For many holy fools the power to predict is virtually the only quality mentioned in the sources.” Arseny looks at the ill and knows, regardless of his ministrations, who will survive and who will die. As a boy fool-in-training, he peers into the fire of the stove and sees the image of an elderly man. The aged Arseny will gaze into another fire at the unlined face of himself as a boy. With so many of the blessed running around, fifteenth-century Russia, as Vodolazkin depicts it, is the golden age of prophets. Similarly ragged and unkempt, they stand at the entrances of markets. They appear at christenings and weep for the truncated lives they foretell. They sleep in cemeteries. Since there are seven days in the week, they figure that God has ordained seven millennia of human existence. Thus they widely announce that the world will end seven thousand years after its creation in 5508 B.C.—in other words, in A.D. 1492, just around the corner. Beset by plague and pestilence, poverty and hunger, the Russians already sense themselves on the brink of annihilation. They’re receptive. In the West, especially in Spain, other Christians similarly anticipate the apocalypse. IT’S HARD TO WRITE saintly characters. Alyosha in The Brothers Karamazov is the least interesting of the brothers. Everybody reads the Inferno, but how many make it to Paradise? Yet Eugene Vodolazkin, whose second novel, Laurus, won both Russia’s Big Book and Yasnaya Polyana prizes in 2013, succeeds gloriously, giving us not just goodliness but an actual saint — a fictional wonderworker in the 15th century. A scholar of medieval literature at St. Petersburg’s Pushkin House, the Institute for Russian Literature, Vodolazkin propels us headlong into the strangeness and wonders of medieval Russia. The child thoughtfully kissed Saint Christopher on his shaggy head and touched the dulled paints with the pads of his fingers. His grandfather observed the icon’s mysterious current flow into Arseny’s hands. Following Christofer’s death, Arseny takes his place as the village healer. All goes well until the day a girl, Ustina, appears in the monastery cemetery, sole survivor of her village’s demise by plague. Arseny takes her in, and love enters the hut where only learning and selfless service had dwelled. But having begot a child with Ustina, Arseny reveals himself to be a possessive lover, while his confidence as a healer prevents him from calling the midwife. Worse yet, he dissuades Ustina from going to church for confession. When she dies in childbirth, he carries a double sin: responsibility for her and their child’s death, and for their unconfessed souls. The novel is a treasure house of Russian medieval lore and customs, and Vodolazkin convinces us of the horrors awaiting the unconfessed dead. Not in the hereafter, but simply on earth. What to do with the bodies? They can’t be buried, only “heaped,” as the earth would spit them out again. Unburied, they are unable to find peace and cause poor harvests. If they were buried, people would dig them up when spring frosts harmed the crops. Buried, unburied, becoming exposed, piled, moved around — it was enough to drive even a saint mad. Thus, we understand perfectly why Arseny would forswear his settled life to hit the road and try to redeem Ustina’s soul through prayer and suffering. Thus begins Arseny’s journey as mendicant healer, moving from village to village, indifferently exposing himself to plague, cold, and hunger, nameless and without destination, in the fine tradition of Russian mystics. Life is not about finding a place for ones’s self, but for one’s soul, one’s connection with spirit. He has, without realizing it, become that most Russian of all figures, the holy fool. Did you know […] each part of the Pskov soil supports but one holy fool? […] [B]y inflicting bloody wounds on holy fool Karp, [I] induce him not to leave Zapskovye, the area beyond the Pskova. [… I teach him] Zapskovye would be like a lonesome orphan without you, and you’d create an excess of our sort in my part of town. And excess is depravity that leads to spiritual devastation. The fools are holy, but they also bash each other and defend turf. A great deal of the novel’s humor derives from this kind of absurd juxtaposition. On this earth, one can never quite break free of petty, ridiculous, earthly concerns. Even the ancient sage Christofer is regularly consulted about “bedroom matters.” Much of the humor in Dostoevsky has exactly this origin. Equally rich are the novel’s clashes of language and diction, a savory stew made up of high and low, the ecclesiastical and the obscene, as well as the crazily modern. Translator Lisa Hayden had a tall order before her — Vodolazkin’s book in Russian overflows with Old Church Slavonic, contemporary slang, obscenities, bureaucratese, literary language. In translating, she avails herself of the contemporaneous Middle English Bible for much of the syntax and archaisms, but also a range of slang, curses, and other vocabularies. The result is a wonderful, at times almost Monty Python–esque blend of biblical vanisheth, synne, and pryde, right alongside shithead, jeez, and Brownian motion. The snow began melting in the middle of April and immediately looked old and shabby. […] Ustina no longer wanted a fur coat like that. She stepped from one melting hummock to another, cautiously watching her feet. All the forest’s grime had emerged from under the snow: last year’s foliage, pieces of rags that had lost their color, and yellowed plastic bottles. Just as we’re happily sinking into a dream of herbs and forest lore, tame wolves, and grandfather Christofer’s wisdom inscribed on birch bark, those plastic bottles appear, like the Statue of Liberty peeking from the sands of the Planet of the Apes. Vodolazkin’s use of anachronisms such as “Brownian motion” and “shithead,” the visions of future foretold by the novel’s many prescient characters, all speak to our dilemma as modern inhabitants of a world made in — and of — the past. Underneath this medieval, mystical tale of the saintly healer, there’s an unrecycled present, suggesting the unity of time, past and future, as they would look in the eyes of a timeless being — say, God. So Laurus is a quirky, ambitious book. In addition to the highly absorbing coming of saintdom in Arseny — healer, holy fool, pilgrim — and its “inside look” at Russian medieval customs and mystical tradition, its habits of mind, and embrace of the irrational and paradoxical which anyone who loves Dostoevsky will immediately recognize, Laurus is a modern, often comic novel nevertheless concerned with time and spirituality and the Russian soul as is perfectly embodied in the holy fools. It’s a condition that embraces paradox: holy fools often behave perversely, doing what, to our earthly eyes, appears plain wrong. Some are mentally ill, but there is always sanity in their madness. Others are fools in the Shakespearean sense — unpredictable, unfathomable beings who have a special line on the truth, and are revered for their vision, treated with great respect, but also vulnerable, beaten, harassed, and even killed. This is the paradox of the Russian soul. You can trace a straight line from these medieval times to Dostoevsky to the present era, the confluence of the brutal and the divine. In his story of the saint, Vodolazkin asks what life is, in the absence of saintliness or of a mystical flame, other than coarse and thoughtless existence. The book suggests that people still need the example of saints, and faith in miracles, to turn their attention to the life of the spirit. The medieval period left a deep impact on Russian consciousness — far more than the Dark Ages did in the West. Christianity didn’t arrive in Rus’, the Russian world centered in Kiev, until around 1000 AD, and an inward-looking, spiritually oriented, medieval society took shape, which remained in place until Peter the Great artificially defibrillated it some seven centuries later. No Renaissance softened the blow, no secular humanism erased the memory of medieval life. As a result, Russian culture carries a lasting scent of its medieval past, into which Laurus vividly inaugurates us — a world rich with wonder and superstition, faith and foreboding, walled cities and plague and visions, impassible roads and holy fools. Under the spell of Laurus, we imagine what it would be like to measure life in seasons and harvests rather than clocks and clicks, to walk in hallowed paths and receive ancient wisdom, to suffer and cleanse the soul. It deposits us, much like the 2007 Russian film The Island — about a man who becomes a contemporary holy fool — into a magical world steeped in voluntary suffering, devotion, and answered prayer, which stands in opposition to Western skepticism and aversion to irrationality. Unlike a saintly figure one might find in other postmodern Russian work, Vodolazkin’s holy man and his medieval world are drawn with sincere, uncynical affection. As such, the novel embodies a break with immediate post-Soviet literature, which is heavily skeptical and leavened with irony. Laurus contains stylistic similarities to contemporary Russian works — the fracturing of time, the linguistic playfulness — but within the confines of a tale of faith. The result: an instructive saint’s life keyed for a sophisticated contemporary audience, and suggesting an alternative to materialism, irony, and despair. Laurus, the second novel by Russian writer Eugene Vodolazkin, has a vivid sense of time and place, as you might expect from an author who is also an expert in medieval history. Interweaving an impressive array of images, stories, parables and superstitions, Vodolazkin builds a convincing portrait of 15th-century Europe, a God-fearing place riven by disease and hardship. Yet he also conveys a very contemporary sense of the contingency of identity and of the malleability of time. Little wonder that he has been compared to Umberto Eco, whose The Name of the Rose (1980) cleverly melded postmodern sensibilities with a medieval setting.The book’s eponymous hero is a healer who, in the course of his life, becomes a pilgrim, holy fool and hermit; in each of the four sections, he takes on a new identity. He is born in Rus in 1440 and christened Arseny. After losing his parents to the plague, he is raised by his grandfather, a herbalist who teaches the boy about the healing power of plants. They enjoy a quiet, simple life, and Arseny learns to read and write. After his grandfather’s death, 15-year-old Arseny remains in rural seclusion, serving as the village doctor. His feelings of emptiness are relieved only by the arrival of Ustina, a young woman carrying the plague. He cures her and they enjoy a brief but intense happiness until her death in childbirth. Unmarried, and wishing to keep her existence a secret because of their “living in sin”, Arseny had refused to find a midwife to help Ustina deliver the stillborn child. Grief-and guilt-stricken, he travels from village to village treating people through prayer and his healing hands. Divine idiocy is a recurring theme in Russian literature, where the distinction between sanity and madness is deliberately blurred. On reaching Pskov, in the far west, Arseny resolves “to forget everything and live from now on as if there had been nothing in my life before, as if I had just appeared on earth right now”. He becomes a holy fool, residing in the town cemetery for 14 years — “the earthe as a bed, the heavens as a roof”. He throws stones at pious people’s houses — he can see the devils gathered outside, unable to enter — and kisses the walls of a sinner’s home, by which the exiled angels shelter. As Vodolazkin wrote in a 2013 essay, “Contemporary Russia desperately needs people who can pelt devils with stones, but even more, it needs those who can talk with angels.” Perhaps the jury that awarded Laurus Russia’s prestigious Big Book Prize in 2013 felt the same. Throughout the novel there is an impending sense of doom. Many of the characters Arseny encounters believe that the apocalypse is nigh. One of those attempting to calculate the exact date is Ambrogio, a young Italian whose passion for history is matched by his startling visions of the future. Ambrogio meets Arseny in Pskov and they become travelling companions on a pilgrimage to Jerusalem. Sharing an emotional and intellectual bond, they survive encounters with highwaymen, a trek through the Alps and a storm at sea. Laurus spends his last years in a forest cave near the Rukina Quarter, his childhood home. Here, he loses all sense of time, aware only of the passing seasons; indeed, he concludes that time is discontinuous, that its “individual parts were not connected to one another, much as there was no connection between the blond little boy from Rukina Quarter . . . and the gray-haired wayfarer, almost an old man [that he now is]”. The sense of fracture is reflected in Vodolazkin’s style, which blends archaisms, modern slang and passages from medieval texts. the captain told of water that bathed the atmosphere and cooled the luminaries. He had no doubt those waters were salted. In his view, he was talking about the most ordinary of seas, which, for certain reasons, was located over the heavenly firmament. Otherwise why is it, the captain asked, that people in England recently left church and discovered an anchor that had been lowered from the heavens on a rope? And after that they heard, from above, the voices of sailors who were attempting to raise the anchor and when some sailor finally descended on the anchor rope, he died just after reaching the earth, as if he had drowned in water. The only lack of clarity here concerned whether the waters that lie over the firmament are joined to the waters in which we sail. We must admire the captain’s knowledge, but, more importantly, we must admire his awareness of the limits of his knowledge, captured with some irony by the narrator’s voice: the “only lack of clarity”. Always we are so close to and so far from knowing how the world works; always we are so confident that we have good explanations for natural mysteries, like why anchors fall out of the sky in England so frequently, but always we are so wrong. Such medieval causalities are endorsed repeatedly throughout the novel, particularly because Arseny has essentially been endowed with the ability to perform miracles. A mayor is upset when Arseny, his guest, pours an expensive glass of wine on the floor. A holy man chastises the mayor: “How can it be, holy fool Foma asks the mayor, that you don’t understand why God’s servant Ustin emptied your wine to the northeast?” The reason, of course, is that there was a fire in Novgorod, and Arseny wanted to put it out, so he poured his wine on the floor. The mayor, a good empiricist, withholds his judgement until he has sent a rider to Novgorod to discern the truth; it turns out that there had indeed been a fire on the day in question in Novgorod, and it had mysteriously stopped around lunchtime, just as Arseny was pouring his wine on the ground. The mayor, to his credit, takes this news very humbly, and asks for Arseny’s forgiveness. After six days in the middle of the desert, Alexander’s troops encountered astonishing people with six arms and six legs each. Alexander killed many of them and took many alive. He wanted to bring them to the inhabited world but nobody knew what these people ate, so they all died. […] Later on, after walking another six days, Alexander saw a mountain to which a man was bound with iron chains. That man was a thousand sazhens in height and two hundred sazhens in width. Alexander was surprised when he saw him but dared not approach. There is much internal correspondence here: Alexander and his men walk for six days in the desert, and then encounter people with six arms and six legs; then, after another six days of walking, they find a giant man. We are perhaps more surprised that the giant man they encounter is a thousand sazhens high and two hundred sazhens wide rather than a corresponding six by six than we are by his size, for miracles are in many ways unsurprising. Arseny considers the Alexander Romance to be as factual as the other books he reads, which are largely medical treatises and lists of herbs and their uses; there is no difference in terms of credibility between the fact that men with six arms and six legs might exist and the fact that giving someone a herb might help them sleep. As Vodolazkin constantly reminds us, this understanding should inflect our own reading of Laurus. The novel emphasises its own strange textuality, making it impossible for the reader to forget that she is reading a novel: through the narrator’s fussy historical commentary (“He was convinced the rules of personal hygiene should be upheld, even in the Middle Ages”); through a linguistic register that veers enthusiastically between modern and technical (“your prognosis is favorable”), modern and vernacular (“Everyone in Rus’ knows that you’re not, like, you know, allowed to beat holy fools”), and Early Modern English (“Golde rubbed and taken internally cures those who speake unto themselves and ask questions of themselves and answere themselves and become downhearted”); through tenses that shift without warning between present and past, as if the narrator can’t quite figure out if these events are still happening; and through occasional interludes from the future, either as described by the mostly omniscient narrator or as experienced by a character called Ambrogio, who Arseny meets on pilgrimage to Jerusalem and who has visions of, for example, “a gale in the White Sea on October 1, 1865. The Solovetsky Monastery’s steamer Faith was sailing from Anzer Island to Big Solovetsky Island. It was carrying pilgrims from Verkhny Volochok.” These strategies emphasise that we are reading a text, much like Arseny reads the Alexander Romance, and that the text is historically contingent: it describes a medieval world that is largely fictional and long gone, and that is full of things that are not real, or are at least improbable. It is a hard and brilliant read. The hero of the story is a medieval man who lives through four major phases in his life, changing his name as he goes - Arseny, Ustin, Amvrosy, Laurus. Left alone in the world after grandfather Christofer's death, Arseny inherits his gift of a healer. He cures his patients with herbs, words and nothing. But when his beloved woman dies in childbirth, he cannot forgive himself for overestimating his powers to restore life where it is threatened. Unable to overcome the guilt and grief for his stillborn son and Ustina, who died without confession and in sin (as they had not been married), Arseny decides to reject his own life and live in Ustina's stead to win eternity for her. Ustina was not separate from his love for her. Ustina was love and love was Ustina. He carried it as if it were a candle in a dark forest. He feared that thousands of greedy night-creatures would fly toward that flame all at once and extinguish it with their wings. Now Ustin, he travels far and beyond, curing the victims of the great plague. The novel unfolds a story of a life devoted to love at its many layers. Vodolazkin portrays a magnificent range of life on the medieval road, in movement but out of time's joint. We follow the hero's life as a holy fool in the graveyard of a nunnery through to his pilgrimage to Jerusalem with an Italian Catholic seer. Ambrogio's visions throw us forward into a familiar Petersburg setting and farther into the unknown future; in constant searches for the time of the end of the world the novel leaves us on its pages frustratingly faced with the nonentity of time. Vodoazkin's beautiful portrayal of holy fools demystifies, or rather mystifies, the concept of yurodivy associated with Russian Orthodoxy (but not unique to it). The writing is soaked in religious beauty without the least Orthodox bias. At times we are reminded of Hesse's Siddhartha, but then the novel flows in the spirit of the invincible Russian literary tradition of pathos and Dostoevskian depth; and at yet other times, it is a pure philological triumph. Written with glimpses of medieval Russian tongue, the texture is rich with live and quaint depiction of medieval life. Vodolazkin exposes - in naked, vulnerable and crisp language - the magic and the grotesque of religion and the human soul. You are strained from the first page to the last. It can get obscure but is in no way a dry read. Vodolazkin's archaic seasoning is complemented by his sublime sense of humour. Lisa Hayden's beautiful translation in English manages to preserve the linguistic diversity of the novel as far as is possible without making it sound tasteless. You don't really think I drove them out forever, do you? Maybe about five years, ten maximum. And what will you do then? you might ask. Well, write this down. A great pestilence awaits you but God's servant Arseny will help you, when he's back from Jerusalem. And then Arseny will leave, too, for he will need to leave this burg. And then you'll have to display some spiritual fortitude and internal focus. You're not children anymore yourselves, after all. Holy fool Foma closed his eyes and died after he had made sure everything had been written down. In the dusk of his life, Laurus returns to Kirillo-Belezorsky Monastery where he came from. The ending is chilling, repulsive and unexpected. Vodolazkin pushes us back into the medieval reality of the novel, the religious mystery and an unequivocal world of ugly holiness which we believe we have navigated a long way from - but have we? In 2013, Eugene Vodolazkin, a scholar of Old Russian Literature at Pushkin House (more formally known as the Institute for Russian Literature) in St. Petersburg, published a long work of fiction about a fifteenth-century holy man. He expected no one outside his family and professional circle to read it. Instead, Laurus went on to win two of Russia’s major book prizes and has garnered international acclaim. Many have compared it to Umberto Eco’s The Name of the Rose for its intricately crafted medieval setting. Others list it in the company of great Christian works of literature, an Orthodox equivalent of Kristin Lavransdatter, Diary of a Country Priest, or Brideshead Revisited. Rod Dreher wrote that he would take up his prayer rope after reading it, while the critic Alan Jacobs has questioned whether the book is not more Hindu than Christian. The action opens in 1440 with the birth of the main character, Arseny, who is raised and taught the art of healing by his grandfather, Christofer. Soon after the old man dies, Arseny encounters Ustina, a young woman who has wandered from her plague-ridden village. He takes her in and before long she is with child. Partly due to his reluctance to call a midwife, she dies in childbirth. The Elder in his village notes that while Arseny should trust in the mercy of God, “mercy should be a reward for effort.” Stricken with a guilt that haunts him for most of his life, Arseny resolves to live a life of penance for Ustina and their still-born son. He soon forgoes the role of professional healer for that of a holy fool and, in a further effort to die to himself, takes a new name, Ustin. He lives somewhat detached from his body, as if already dead, and as one “whose state of mind differs from what is generally accepted.” Soon he feels called to go on pilgrimage to Jerusalem, becoming Arseny again and traveling with Ambrogio Flecchia, a young Italian seer full of questions about the nature of time and the end of the world. Upon his return, he becomes a monk, taking yet another name, Amvrosy, before finally dying as a hermit named Laurus. The comparison with The Name of the Rose is apt, for, like Eco, Vodolazkin seeks to immerse the reader in the thought-world of the Middle Ages. While Eco celebrated the semiotic complexities of the medieval imagination, however, his heroes were nominalist scholars—the vanguard of a skeptical, empiricist modernity. Though set in the Middle Ages, The Name of the Rose is really a modern mystery and an argument about critical theories, readers, and texts. Laurus is, among other things, an extended meditation on time in light of God’s eternal presence in the created world. A character will prophesy or see a future event unfold during the twentieth century—or perhaps stumble on a plastic bottle that will be left there, centuries later. At the beginning and end of his life, Arseny sees himself in the fire in his hut, his young and old selves staring at each other. Occasionally Vodolazkin changes tenses without notice, but the dissolution of time becomes most apparent in the shifts of register he employs. Modern concepts and slang are mixed in with biblical quotations, chunks of medieval text, and Old Church Slavonic, which the translator, Lisa C. Hayden, has chosen to render in older English orthography: “lyve” for “live” and “helpe” for “help.” This captures the ancient or medieval flavor of the language, but not its sacral quality. Old Church Slavonic remains the language of the Russian liturgy, the equivalent of the English of the Book of Common Prayer. “Lyve” and “helpe” are more redolent of a Renaissance Faire than evensong, and English speakers might miss the way in which Vodolazkin’s use of Old Church Slavonic underscores how the timeless divine permeated the world of medieval men and women. Toward the end of the book, Arseny (now Laurus) begins to ponder how his life could be a unified whole. He has had four names and lived in different places. What unites his life? Desire for God, replies an Elder: “You have dissolved yourself in God. You have disrupted the unity of your life, renouncing your name and your very identity. But in the mosaic of your life there is also something that joins all those separate parts: it is an aspiration for Him. They will gather together again in Him.” This answer might strike the reader as implausible, since Arseny’s desire to save Ustina and help others is much more apparent than his explicit love of Jesus. Vodolazkin does not describe the hours his protagonist spends in prayer, and Christ rarely appears in Laurus’s thoughts as these are related to the reader. This is why Jacobs concludes that Arseny is really more of a Hindu mystic—defraying his spiritual debts and detaching from his body as he passes through the four ashrama—than a Christian saint. Eugene Vodolazkin’s Laurus is one of those rare novels that once you start you won’t want to put down, whether you are a person of faith or not. A powerful story about a Russian Orthodox healer, holy man, and pilgrim, Laurus becomes a pilgrimage for each reader, one that surely will change your life if you are open to its beauty, depth, and truth. Laurus, Vodolazkin’s second novel, is set in the Middle Ages and follows the life of a child who is named Arseny at his baptism seven days after his birth on May 8, 1440. In the last years of his life, he will be given the name Laurus. Arseny’s life seems summarized by the names he receives and the fact that the day of his birth is a Friday on the Gregorian and Sunday on the Julian calendar. Arseny is the third child of his mother and the only one to survive beyond the first year of birth. As a child, Arseny spends hours with his grandfather Christofer, a healer, gathering herbs in the woods. Two events suggest the special nature of this child. When he learns that his grandfather lives alone because his grandmother died years before, Arseny decides to fly to heaven to meet her. Like Icarus he fails in flight, but unlike Icarus he gets away with only a fractured foot. Arseny’s somewhat idyllic childhood soon is shattered. His parents die from the plague and eventually, when he is fifteen, his grandfather dies as well. Left alone, he takes up the healing practice of his grandfather but falls prey to selfishness and the sin for which he will spend the rest of his life atoning. And so his years of difficult wandering and pilgrimage begin. In his wanderings he becomes a renowned healer, loses everything after being robbed and left for dead, and lives among holy fools. He will recover and travel across Europe and sea to Jerusalem. Through his suffering he learns what it means to love. Good or evil, the characters he encounters along the way are memorable, particularly the good, among them the holy fool Foma, the prophet-academic Ambrogio Flecchia who becomes Arseny’s greatest friend, and the Elder Innokenty. Laurus has been compared to The Canterbury Tales and The Name of the Rose, but this is somewhat unhelpful. Like Chaucer and Eco’s works, Laurus is set in the Middle Ages and includes the story of a pilgrim and a pilgrimage. But it’s not a collection of tales, comedic, or critical of the Church and faith, nor is it a murder mystery with a detective in clerical garb. The genuine infusion of faith throughout the narrative of Laurus makes any comparison with Eco’s popular work of historical fiction, The Name of the Rose (1980), completely off the mark. Despite some contemporary depictions of sin and violence, Laurus has scent of sanctity, such as you find in Hieroschemamonk Feofil: Fool-for-Christ’s-Sake and Saint Symeon of Emesa: The Fool for Christ’s Sake, as well as lives of saints such as Seraphim of Sarov. The name Laurus, in fact, reveals much about the novel, since it is a monastic name and points to Lavra and Laura, names for a type of monastery. A scholar of medieval Russian history and folklore, Vodolazkin clearly has absorbed the idea suggested in the introduction to Hieroschemamonk Feofil that to understand Russian history even in a minimal way, one must know the lives of the Russian Orthodox saints, ascetics, and elders. No matter his name, Arseny, Amvrosy, or Laurus is a memorable character you will come to know as few other characters in novels. Through his remarkable character, Vodolazkin breaks down the illusions of time and death so that we experience in a small way what it means to see the world through God’s eyes, to live in God’s time, not man’s, and despite sin and obstacles to live as God wills. Laurus is a fictional hagiography of sorts in the novel form. It is set in medieval Russia and it follows the life journey of the protagonist, Arseny, from his childhood with his grandfather to his life as a pilgrim and a 'holy fool' to his death that brings closure to his grief. He takes the position of a village healer after his grandfather passes away, and later has an awakening of love in his heart when he finds Ustina, an orphan who is afflicted by the plague. He heals her with his traditional medicines, and nurses her back to life, only to lose her prematurely with his child in her womb; leaving him alone with the guilt and pain of responsibility of what had occurred. How he carries this grief throughout his life is a testament of his love for Ustina. His quest for the redemption of both their souls, that seem to be knit from the time of the terrible tragedy, becomes the main theme of the novel. He changes his name to Ustin and begins a lifelong journey of repentance for what has happened. This might seem excessive to many people, but they miss the beauty that such a struggle unravels. Oscar Wilde's words ring true when he says: "Suffering is one very long moment. We cannot divide it by seasons.We can only record its moods, and chronicle their return. With us time itself does not progress. It revolves. It seems to circle round one center of pain...." Time itself spirals around this singular experience of pain in Laurus. His pilgrimage and wanderings with all their trials are external manifestations of an internal journey. The voyage that he makes is from sanity to that liminal space where he meets insanity which makes his life miraculous. The "holy fool," in the Russian spiritual landscape, is a liminal figure that acts contrary to social norms and steps out of conventional normative behavior, and displays virtue and grace in a unique and contradictory way. Holy fools bring together the saintly and the absurd in a way that their words, actions and the entirety of life becomes a lesson, an orienting agent, that points the "normal" people towards the truth. Civilizations have been built upon the life teachings of such figures who leave normal society and venture into the wilderness and bring back something priceless for humanity. In this sense those great figures like the Buddha, Lau Tzu and many others can be seen as somewhat similar to the "holy fools" of Russia. Last night, after midnight, I read the last lines of Laurus, a newly translated Russian novel by Eugene Vodolazkin, and thought it surely must be the most perfect ending ever. There is no way it could have ended any more perfectly or profoundly. And then I did what I have done nearly every time I’ve put this astonishing novel down over the last few days: I picked up my chotki (prayer rope) and prayed, as I was first taught to do in an Orthodox parish in the Russian tradition. What kind of novel makes you want to enter into contemplative prayer after reading from its pages? I’ve never heard of one. But Laurus is that kind of novel. It induces an awareness of the radical enchantment of the world, and of the grandeur of the soul’s journey through this life toward God. It is so strange and mystical and … well, to call a novel “holy” is too much, but Laurus conjures on every page an awareness of holiness that is without precedence in my experience as a reader. Holiness illuminates this novel like an icon lamp. By saying that, I fear that I will make the novel sound pious and devotional. It very much is not. This is an earthy novel, filled with the sounds, smells, violence, superstition, and fanaticism of the Middle Ages. The achievement of Vodolazkin, who is a medieval historian by vocation, is to make this faraway world come vividly to life, and to saturate it with mystical Orthodox Christianity, such that even the leaves of the trees are enchanted. Most Americans who read Laurus will take it as a work with a strong current of magical realism; the handful of us American readers who worship in the Eastern Christian tradition will recognize it as simply Orthodoxy, where the border between wonder-working and everyday life is porous. And so, O Savior, give me at least some sign that I may know my path has not veered into madness, so I may, with that knowledge, walk the most difficult road, walk as long as need be and no longer feel weariness. What sign do you want and what knowledge? asked an elder standing [nearby]. Do you not know that any journey harbors danger within itself? Any journey — and if you do not acknowledge this, then why move? So you say faith is not enough for you and you want knowledge, too. But knowledge does not involve spiritual effort; knowledge is obvious. Faith assumes effort. Knowledge is repose and faith is motion. But were the venerable not aspiring for the harmony of repose? asked Arseny. They took the route of faith, answered the elder. And their faith was so strong it turned into knowledge. Arseny says he wants to know the general direction of his journey, especially the part that concerns him and the person he hurt early in his life. But is not Christ a general direction? asked the elder. What other kind of direction do you seek? And how do you even understand the journey anyway? As the vast expanses you left behind? You made it to [here] with your questions, though you could have asked them [in your local monastery]. I am not saying wandering is useless: there is a point to it. Do not become like your beloved Alexander [the Great] who had a journey but had no goal. And do not be enamored of excessive horizontal motion. Then what should I be enamored of? asked Arseny. Vertical motion, answered the elder, pointing above. In the center of the church’s cupola there gaped a round, black opening reserved for the sky and stars. Stars were visible but they were fading from sight. Arseny understood day was breaking. LC For those of us steeped in Russian culture, the relationship between literature and religious thought always seemed very inspiring, but it’s exotic and strange from a British viewpoint. How would you describe it? LC There’s also a long-standing tension with western individualism in Russian personalism, isn’t there? LC Can we unpack that? It seems important, but the language can be offputting for contemporary readers. RW Dostoevsky and some of his followers would say ethics is not about good and evil; it’s about truth and falsehood, reality and illusion. The right way to live doesn’t amount to a series of approved actions. It’s about living in recognition of reality. LC I like this idea of a true reality beaming its message out from Dostoevsky’s great novels, but on the face of it it’s so airy-fairily metaphysical I wonder whether we can persuade many people today to buy it. RW Reality is an underlying conviction of harmony. The sense that there is a unity to human experience, that somewhere every river runs into the same sea. RW Dostoevsky famously said: “If there’s no God, then everything is permitted.” It’s a view the west might consider more often. Dostoevsky’s not saying that if there’s no God then no one’s watching us and we can do what we like. He’s really asking: what’s the rationale for living this way and not otherwise? If there’s no God, then there’s no shape to our lives. Our behaviour needs to be in tune with something. If there’s no divine tune, how do you know where to go, what to do? To believe in God is not a business of rewards, but an ability to make sense of things. LC And this ability can’t come from our experience of love and art, say? RW How do you see to it that one thousand flowers bloom and not one thousand weeds? The problem is one of the irreduceable divergence of moral ideals. RW: … Third, and here I would go back to Dostoevsky, the creative potential of every person is an abyss of risk and danger. In the Russian tradition, human beings are regarded as mysterious and impenetrable, so you have to govern with a rod of iron—otherwise you don’t know what they might do. LC This is the heart of one’s equivocal admiration for the Russian soul, isn’t it? A world that has that sense of individual spiritual depth and mystery and power set against a completely unworkable political reality. What do you think the west today might take out of the Russian tradition? RW For most of us it’s a question of what authority we are prepared to recognise, and I think authority often comes from something endured, either by ourselves or someone else. Think of Nelson Mandela. Think also of Gee Walker, the mother of the murdered Liverpool teenager Anthony, who forgave her son’s killers. Suffering confers a certain authority. We learn from it. Dostoevsky is often accused of masochism. But he’s not saying suffering is good for you. He’s saying suffering is how you are likely to learn. Don’t be frightened when it happens to you. This is Laurus. The suffering of a wanderer in plague-haunted Russia is very different from anything we have to deal with, but suffering itself — that’s universal. The way Arseny deals with it, seeks God’s will in it, and measures his own spiritual progress by it, may strike the contemporary Western Christian with the force of revelation. That said, the astonishing final act of the novel, and its unforgettable final lines, showcase the “mysterious and impenetrable” quality of human nature, and its tragic sense. On a number of occasions reading Laurus, I thought about how much it reminded me of Dante’s Divine Comedy, especially the vision of harmony Dante shows us in Paradiso, which, as you know, was written in the High Middle Ages, and shares with Orthodoxy a view of the world as kosmos, as ordered by God, and our task as Christians to unite ourselves to this divine harmony, which is Love. Laurus shows us what that feels like in the life of an extraordinary peasant pilgrim long ago and far away. In the end, Laurus is a saint’s life, though it doesn’t read as you think a hagiography would. As Williams would say, this is not a book about good and evil, but about what is real and eternal and what is false and temporal. It is hard, therefore, to place within a familiar Western Christian framework. But that is what is so liberating about it. It calls to mind Bernanos’s Diary of a Country Priest, in that it embodies the great mystery and drama of holiness, makes it tangible to us, while at the same time revealing its transcendent character. That is no small accomplishment in our time and place. Vodolazkin is himself a kind of wonder-worker, and Laurus is without a doubt one of the most moving and mysterious books you will read in this or any other year. The world of its characters is spiritually spellbinding, and the reader should not be surprised to find that it evokes within himself a desire to pray, and thereby take what feeble steps he can to walk alongside the humble healer Arseny on his life’s pilgrimage. While Vodolazkin may resist the label of historical novelist, he soon enough gave the audience to realize that time, nonetheless, is a crucial factor in his thinking – both as an artist and as a scholar. He spoke engagingly of the medieval obsession with time and its reckoning, giving a fascinating account of the calculations that led to a widespread belief that the world would end in 1492 (or 7000 Anno Mundi). Even later, he told us, in 1700 (after God had “postponed” the apocalypse), there was an uprising of Old Believers when Peter the Great proclaimed a new calendar that was at odds with their counting: they consequently dubbed him the Antichrist for having introduced an eight-year void in which no one had lived.